Mazda Motor Corporation has revealed the exterior of its upcoming crossover SUV, Mazda CX-8. The company’s first new-generation model in Japan to feature three rows of seating is scheduled to go on sale before the end of the year. Mazda’s latest new-generation model, the CX-8 will serve as the flagship of the brand’s SUV lineup in Japan. It’s a new kind of crossover SUV for people who both appreciate quality and need to seat more than five. It has the looks, performance and high-end feel customers expect from a Mazda, yet even adults can sit comfortably in the third row. Mazda designers worked to add a new dimension of maturity to the KODO-Soul of Motion design theme, aiming for an enduring edgy look that will continue to excite customers for many years to come. As the flagship SUV in the Japanese market, the focus was on creating a look of class and quality, and every interior part was chosen in careful consideration of color and material. 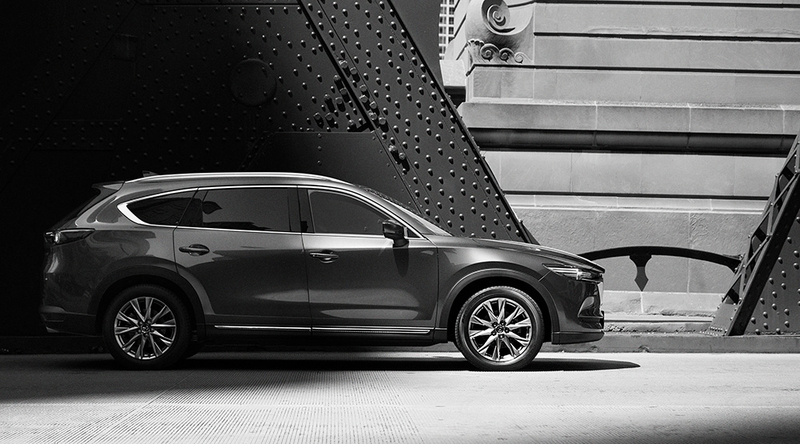 Aiming to become a brand with which customers feel a strong emotional connection, Mazda will continue advancing its lineup to offer all customers both driving pleasure and outstanding environmental and safety performance.